Information Packed. Print MIS Solutions. Print jobs today are complex with fast turnaround times and smaller volumes. To meet these needs, workflow becomes progressively important. By investing in software like print management information systems (MIS), print service providers (PSPs) advance productivity, track costs, and improve their bottom line. New technologies like mobility and cloud deployment make it easier to collaborate and work remotely. Above: Tharstern MIS is modular and configurable to a print provider’s specific requirements. Digital print environments are increasingly competitive as new technologies and demands emerge. As a result, print MIS becomes more important, offering features that automate daily tasks and manage consumables, graphics, inventory, prepress, post press, and pricing. Digital PSPs seek print MIS solutions to manage the dramatic increase in small jobs. With a multitude of projects that must be completed quickly, PSPs can lose visibility and control of what is occurring in the shop, which can affect customer service and the bottom line. “It used to be that there were ten jobs to complete in the next ten days, now there are ten jobs that need to go out in the next hour,” points out Stephen McWilliam, EVP marketing, Avanti. “Printers need to have a better understanding of costs and profits and a system to manage them,” says Greg Salzman, president, Aleyant. Print MIS software integrates with prepress tools and fits into existing digital or hybrid print workflows. It offers visibility, control, and efficiency by maintaining accessible information. PSPs must be efficient and quote competitively but also turn a profit, comments Keith McMurtrie, marketing director, Tharstern. Technology helps drive the print industry forward. “MIS drives all other technologies—it sits at the heart of a digital workflow, relaying commands, making changes, and receiving feedback for analysis,” explains McMurtrie. As digital print technology advances, PSPs often need an updated infrastructure to handle new processes. New technologies like the cloud and mobility affect print MIS software and how it’s accessed. Cloud-based solutions are easily deployed. Mobile capabilities allow PSPs to track jobs and customers anywhere. Mobility technologies offer access to critical information at any location. According to Salzman, print MIS cloud and mobility features are more reflective of how people work today. “For example, sales staff can use a smartphone while visiting a customer to create a quote on the fly, or production staff can use a tablet to complete shop floor data collection,” he offers. With updated technology, end users create orders, calculate shipping and taxes, and user interfaces run on any device. According to Gerald Clement, partner, Computer Productivity Services Inc., a cloud-based system allows users to outsource system management tasks and pay for system costs on an operating basis by the user and the month. In fact, Peter Dhondt, sales director, Cerm, points out that today’s technology allows for a MIS workflow to get from 15 touch points to one and increase the flow of data request, process, and transfer to CSRs, sales representatives, and customers with approved access and privileges. “Implementing a cloud-based MIS might seem like a quick and easy solution, but longer term it might not support your integration plans,” cautions McMurtrie. As MIS solutions become customized to meet the diverse requirements of modern PSPs, multi-tenant systems may not lend themselves to customization. “While costs are dropping, many cloud-based MIS systems are still significantly more expensive on long-term basis than traditional in-house systems,” adds Clement. Determining if it’s time to reevaluate print MIS is a difficult decision. It is important to consider that digital print technology handles more orders and older order processing may hold back production. “A profitable company needs to handle the doubling of numbers of orders typical in a digital operation,” says Dorothy Runge Asboth, sales manager, Label Traxx. PSPs should also determine whether or not the solution supports current operating systems. Asboth warns that as computers upgrade, PSPs may find that they cannot run their software on newer operating systems. Additionally, consider if the MIS supports new markets or equipment. Asboth suggests PSPs ask themselves if they’re achieving their business goals, are profitable, and growing. “Can I easily identify the bottlenecks in my business and where the opportunities are?” she reflects. Joe Kern, marketing manager, DocketManager, suggests digital environments evaluate MIS solutions every three years. Technology is constantly changing and some solutions may not update their functionality accordingly. “I have talked to many digital shop owners that indicated they were not necessarily happy with their software solution, but it was the best option that fit their environment at the time,” he says. Another important feature to consider is integration. If the current system doesn’t have an integrated web to print (W2P) storefront or support third-party integrations, Kern believes it’s time to start evaluating new MIS solutions. Built-in W2P solutions yield advantages in two-way communications between the PSP and customer. Before selecting an MIS solution, PSPs should research their options. Check references and referrals and note how often software is generally updated and how long the company has been in business. Implementing a new print MIS system is a big undertaking for companies that haven’t implemented one in the past. Experienced businesses may find the process easier, but it’s still a considerable task. “This system will be the epicenter of the business—housing all the information related to orders, customers, and jobs,” says Kristen Licursi, marketing director, Cyrious Software. She suggests setting a deadline and assigning an employee to own the project. Before starting the process, a clear understanding of the path, including what’s expected of both the print environment and MIS provider is critical. Successful implementation also involves a project management team and solid implementation guides, says Carol Andersen, chairman, EPMS. It’s important that new clients are properly trained and client expectations are managed. “Vendor salespeople often underestimate the amount of training and the time it will take to get a system live,” shares Andersen. Managing client expectations is a considerable challenge that MIS vendors should handle carefully before and after the sale. Without an organized plan or specific leadership, MIS implementation takes longer to deploy and won’t be as successful, explains Andersen. Introducing a new print MIS system takes time. 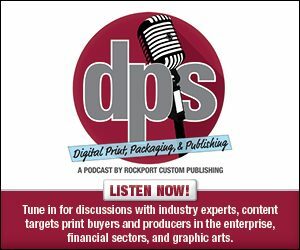 Morrie Brown, president, PrintPoint, Inc., says a PSP may get the basics up and running in a week or month, but full integration into a shop takes focus and perseverance. “Sure, you could create a rectangle with some text and a drop shadow in Adobe Photoshop after a day or two of study, but using it for real work takes weeks to months,” he offers. Dhondt agrees and believes that an MIS system could take between three and 24 months to set up based on the organization’s size and the complexity of automating the workflow. Successful installation is a team effort with the MIS supplier and PSP working together. Chasing the wrong system for the print shop also deters PSPs from a successful MIS implementation. Brown says it’s important to ensure that the software chosen includes a money-back guarantee and enough time to decide if the product is right. MIS projects often start by automating a specific function or department, generally without a long-term plan for automating and integrating the entire system. Not only does this ignore further capabilities that improve efficiency, but it also stunts the PSP’s growth. To get the most out of their MIS solution, Clement suggests PSPs identify the MIS provider’s plans for long-term support for their specific system. Because of the capabilities print MIS solutions provide, some features are often lost. Clement says this includes digitization of images such as artwork, purchase orders, order confirmation letters, and work orders. Additionally, outside integrations like EDI, electronic payment, credit card authorization, UPS shipping rates and tracking, and tax exemption certificate management make purchasing and post-printing processes more efficient and accessible for customers. Once a print MIS is implemented and a PSP is live, many believe the job is done. According to Asboth, the reality is that the business is evolving fast, staff changes, and the MIS is developing. “Most companies will only use a small part of the capabilities of any MIS and may not be aware of other functions that it can help with,” explains Asboth. She recommends a workflow review at least every year. With a review, PSPs can ensure they are on the same page as their MIS supplier in terms of what they need to accomplish, what the software can do, and what the plans are for the future. “After purchasing a system, the first goal is to use at least 80 percent of the system features and then come back and keep improving the use of the MIS tools to 100 percent and beyond,” suggests Dhondt. By fully leveraging the solution, PSPs remain up to date and further expand to new business needs. Using a print MIS system to its fullest potential is as simple as staying in contact with the software provider. Kern suggests subscribing to community forums, newsletters, and webinars to ensure they are up to date with the latest features, updates, and benefits of the provider. PSPs that don’t fully understand the capabilities of their MIS systems are likely to experience difficulties. “Focusing on the few areas that pertain to their workflow causes myopic vision and closes the provider off to the additional potential of the solution,” says Kern. “Adoption can be a big challenge,” admits Casler. “You may have great folks on your team that hate change. Prepare them, remind them of the current frustrations and how a bit of pain transitioning will make their job easier in the future,” she advises. Today’s print MIS solutions have adapted to emerging technology with cloud and mobility features. Those considering a new MIS workflow elect team members to manage and lead the integration as well as determine a timeline. Ensure optimization and long-term success by remaining up-to-date with the provider.